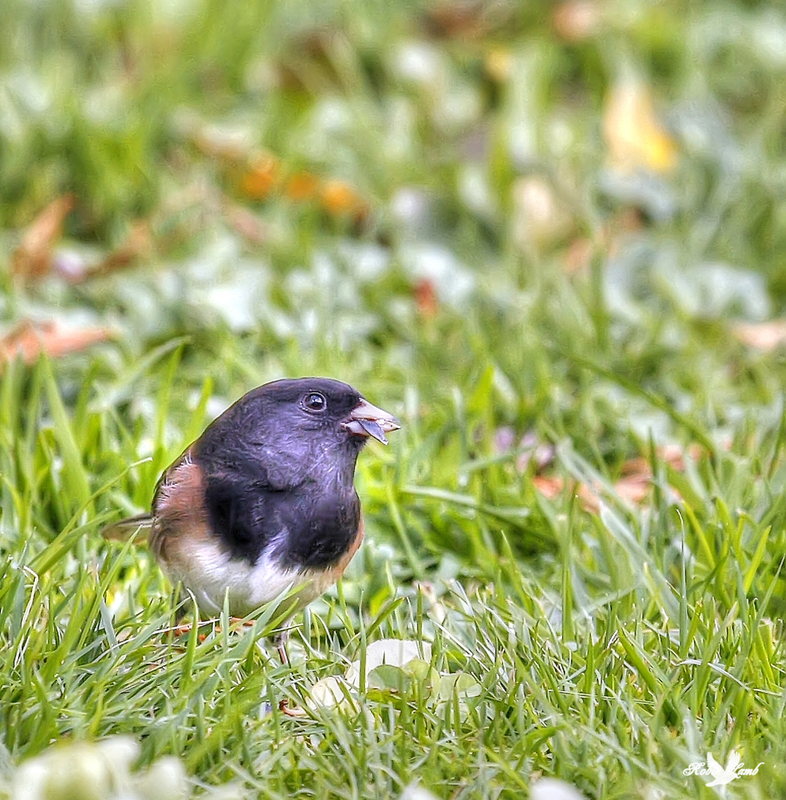 A Dary-eyed Junco likes to feed on the ground. Picking up seed the other birds have thrown out of the feeder! This entry was posted on 2014/10/25 by Robin. It was filed under Birds and was tagged with Aldergrove, B.C., Dark-eyed Junco, feeding. I wonder, where does it eat if we don’t feed them? Bob, ive wondered that too! What a great capture of this cute little Junco. We get the slate-colored ones here, but I haven’t see any yet this year. Pat, thanks! O urs have been back for a couple of weeks now. They’ll stay with us all winter!